The most sought after collector product from the United States Mint was the 2017-W Uncirculated American Silver Eagle according to the latest round of sales stats. Released on Thursday, June 29 for $44.95 each, sales of the Silver Eagle hit 111,224 by Sunday, July 2. Its inaugural figure achieved the third highest debut for all 2017 silver products and was only beaten by the 2017-W Proof American Silver Eagle that launched in March and the 2017 Silver Proof Set that launched at the beginning of June. As a comparison to previous uncirculated Silver Eagle starts, 2017 fared well but was slower than last year’s opener of 134,925. It should be noted, however, that 2016’s coin came out in December and commemorated the 30th anniversary in the series with special edge lettering. In 2015, shoppers initially took in 127,872 coins, and in 2014, they scooped up 106,349 of the coins. 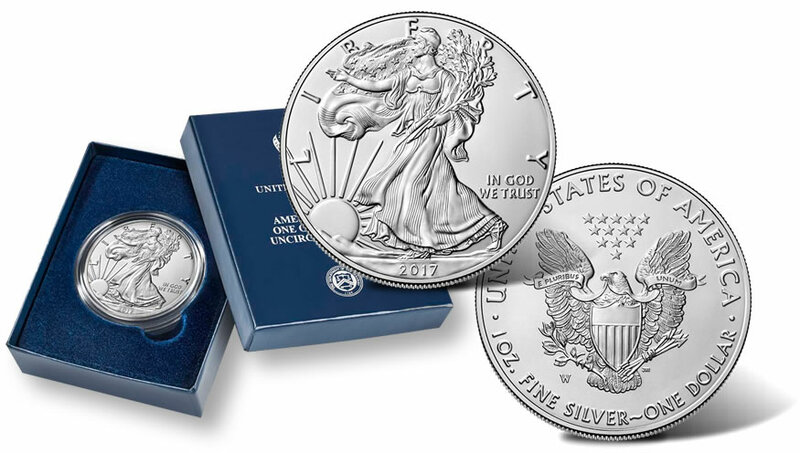 The next weekly best-seller in the silver category was the 2017 Silver Proof Set. Its sales of 6,148 propelled its year-to-date figure past the 200K milestone and landed at 202,452. The table below shows the latest sales stats for collector coins and related silver products from the U.S. Mint. Sunday, July 2, is the as of date for the standard collectibles and Friday, July 7, is the as of date for the bullion products.